This year we planted three sunflowers. I never realized how tall they can grow. 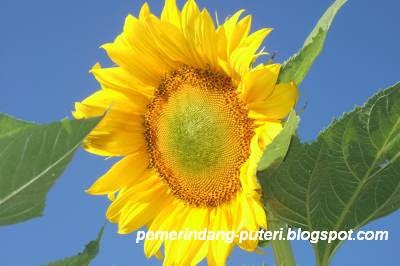 No wonder I see a lot of sky in the background when I see sunflower pictures! Ever since they bloomed, Duncan would say, "I see the sunflowers, Mommy," every morning as we get into the car to go to school. It has been about a couple of weeks since they bloomed so now the flowers are drooping, and I think I should do something about trying to get the seeds out of them for replanting next year.